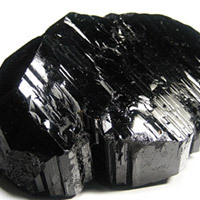 Black Tourmaline - Black Tourmaline is a great ally for those exposed to negative energies regularly. It can protect you against electromagnetic smog and debilitating diseases it also helps to clear the aura and surrounding environment of negative vibrations. Hematite- Hematite helps to absorb negative energy and calms you in times of stress or worry. 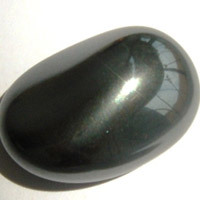 Hematite is a very protective stone, and is great to carry to help you stay grounded in many situations. Hematite can boost confidence, and is also good for working with the Root Chakra. Selenite - A protective stone, Selenite shields a person or space from outside influences. Selenite can evoke protection from the angelic realm and also dispels negative energy. Selenite calms and brings deep peace, and offers access to past and future lives. Malachite - Popular in metaphysical circles, Malachite is another stone of protection. Often carried as a good-luck charm, Malachite offers positive vibrations to fill one’s energy field, which repels negativity. Malachite can facilitate the opening of the Heart Chakra, making one more aware of the subtle energies nearby. It also can fortify the aura against any malevolent vibes that may be coming your way. Amber - Another excellent stone for protection is Amber, which isn’t a crystal at all. As fossilized tree sap, Amber has the ability to envelope one in the Earth’s protective vibrations when necessary. 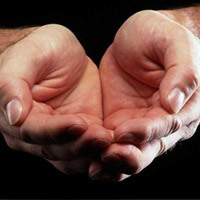 It brings a warm, loving energy that helps one to resist the infiltration of negative vibrations into the auric field. Amber can be an aid to any karmic work undertaken by cleaning up negative vibes from the past. Amethyst - Amethyst is a spiritually protective crystal, possessing a high vibration that helps to strengthen the aura against negative energies. It carries a serene vibration that helps one to remain calm in the face of any adverse situations, and also stimulate energies to rise in response to a problem or threat. Amethyst can work to protect one from the self by elevating and balancing mood, and by removing anger and frustration to be replaced by peace and selflessness. 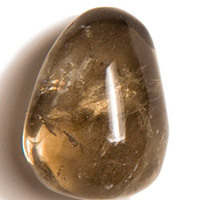 Smokey Quartz - Smokey Quartz is also very protective as well as grounding. Like Clear Quartz, Smokey Quartz can transform negative energies into more useable energies, and then grounds them into the Earth. 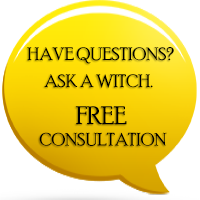 Both crystals can be programmed specifically for protection as well. Since Quartz can absorb energies easily, it is important to clear these crystals regularly. 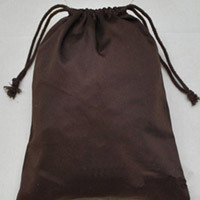 Put your stones in a brown or black cloth bag and carry in your purse, bag or pocket. Return and reset your intentions at each full moon. Thank you for sharing this. Need to do this for everyone in the family. Very good thing to do to achieve inner peace! i really enjoy you site, thanks. MerryMeet! Love your sight Thankyou For sharing. Thank you for the useful information on stones,never hurts to refresh our minds. Hello, I was wondering if Petrified Wood Stones can be cleaned and reprogrammed the same way by blowing and cupping the stone?